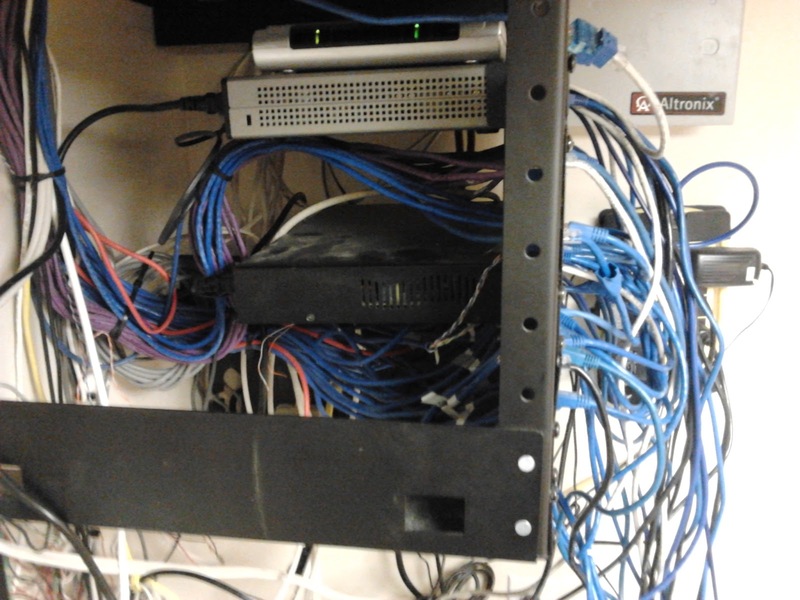 The network rack at my employers office has started to look a bit messy. 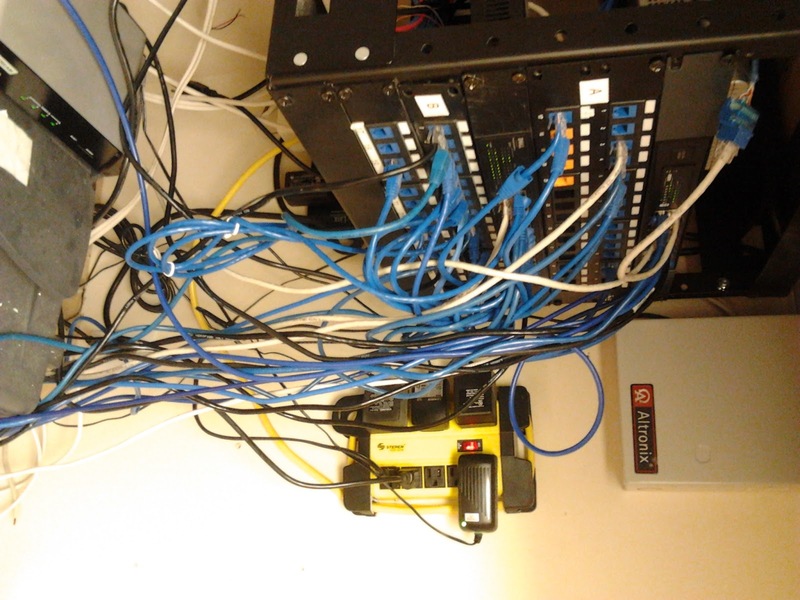 I also needed to make several new CAT5 runs in the office so I brought up to my boss that we should neaten up the wiring a bit at the end of the day on a friday so it would be least intrusive to the office. 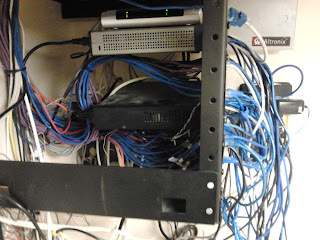 Front of office patch panel before I started. 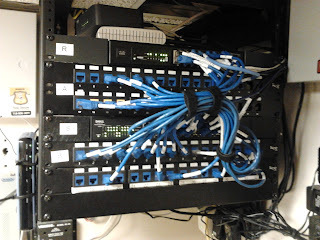 Sideview of office patch panel before I started. 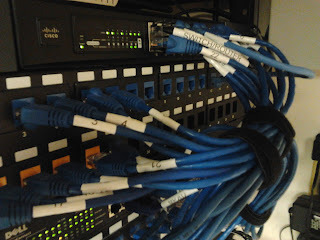 I added 3 new CAT 5 runs before I started working on neatening up the wiring at the patch panel. First I tightened up the wiring behind the panel, mostly just zip-tying then up a bit neater. Once this was all done, and the last person left the office I began removing all of the patch cords. I created a spreadsheet for what jacks were connected to the patch panel, so that I would not have to worry about connecting jacks that were not in use and run out of space on the switch and router. I removed all old unused hardware, 1 router and 2 DVRs. Front of patch panel after cleaning up patch cords. While I do not usually like to go directly across the front of the panel with the patch cords, I would have prefered to bring everything straight across then up the side and back over, I did not have a box of CAT5 patch cords that were long enough so I just made sure that I would be able to keep things as neet as possible by running everything directly from panel to router/switch. I labeled each patch cord with what jack the cord connects to. Side view: I mounted the FAX ATA, DVR, cable and DSL modems behind the rack, so they are easily viewable, yet out fo the way. 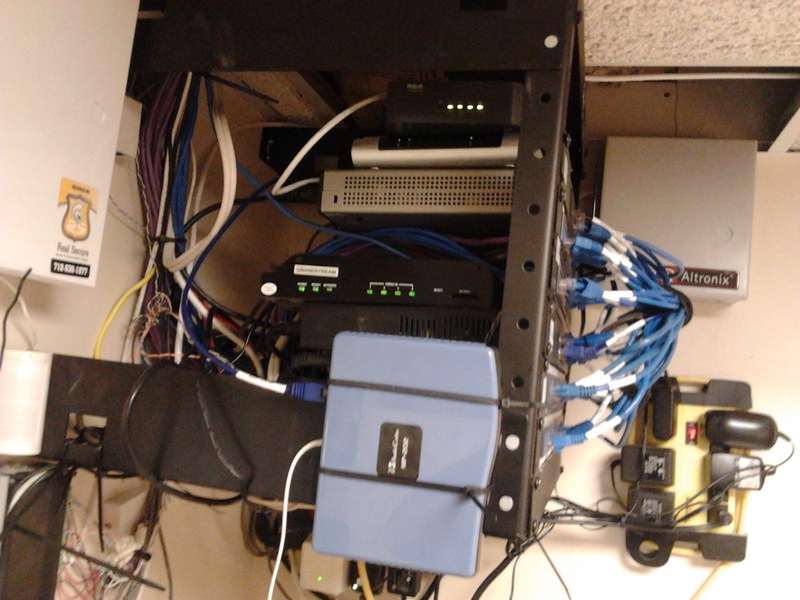 To free up sone space on the shelf below the panel, and to get things up and more visible I installed the DVR, cable modem and DSL modem, as well as an ATA used for the fax machine (directly below the panel) on the back side of the rack. Now it will be much easier to view status lights of everything with ease. 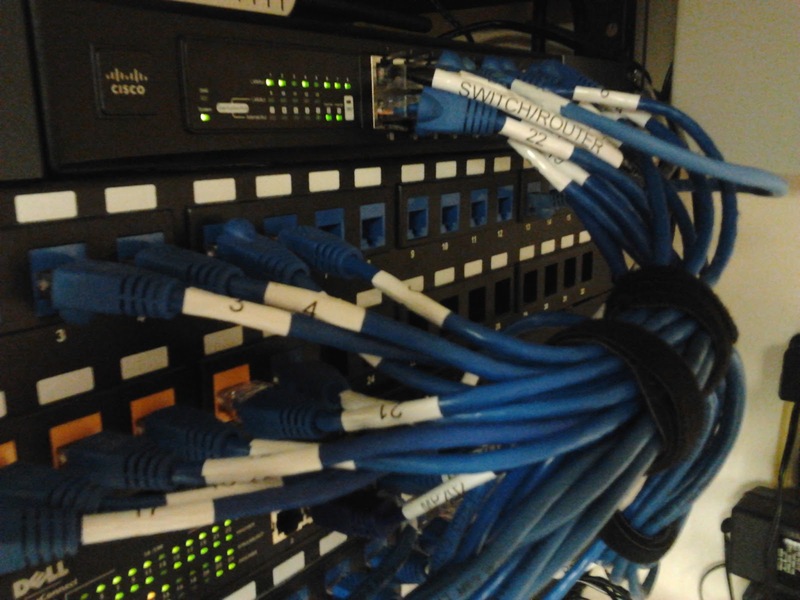 Up next is going to be rewiring the network rack at the CO-LO data center, fun times.